Everyone who’s been following COMC has noticed a number of changes over the years; we’ve grown in leaps and bounds, offering new and diverse services for our customers on a regular basis. Today we’re happy to announce that COMC is going in another new direction which is creating lots of excitement at COMC headquarters. 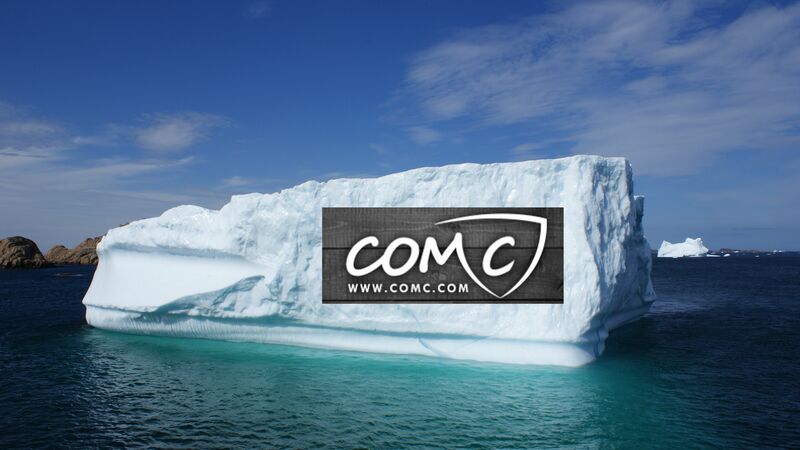 COMC is currently making plans to open it’s first “Brick and Mortar” store, as we move beyond the bounds of the internet and start setting up card and collectible shops in neighborhoods across the country and around the world. Of course, an undertaking like this requires plenty of planning and development, and while something like this is a huge step, CEO Tim Getsch has decided that the company is going to start small. He’s already picked out where our first location will be, and (much to everyone’s surprise) it won’t be located near our main offices in Redmond, Washington. 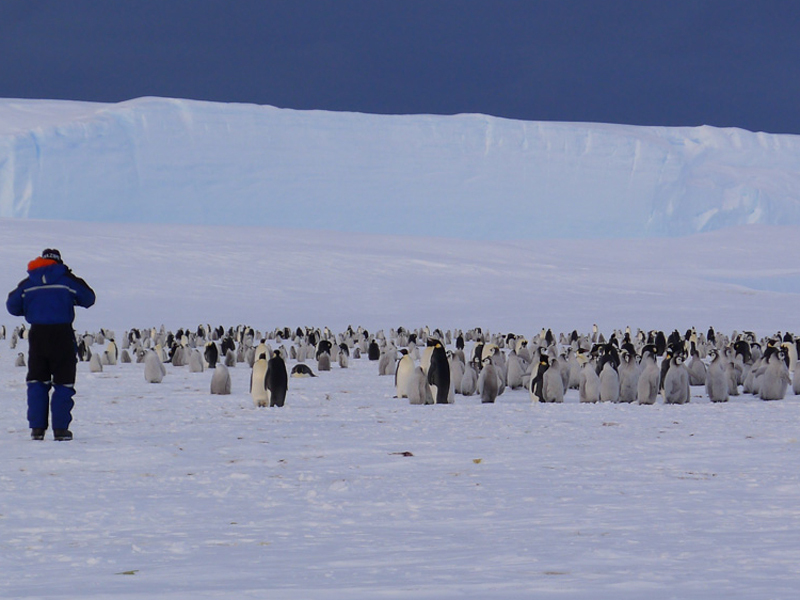 Tim has been scouting locations and determined our first store will be located in Antarctica. Artist’s rendition of COMC”s “eco-friendly” signage for new store location. When asked about the location, Tim says “It’s prime real estate and it’s selling so cheap, it’s a great opportunity for us to get in on the ground floor of this recently opened territory. We can get ourselves established and there’ll be plenty of room for us to grow and expand as our company needs.” While Tim concedes it may be difficult for some collectors to visit our new store in such a remote location, he’s confident that the local population will be supportive during the new store’s early days. Tim prepares to meet with the locals, to discuss COMC’s expansion into the area. While some logistics are still being worked out, this is a huge development for COMC. Keep checking this blog for further updates and other penguin-related news. This entry was posted in funny, news, press release, spoof, Uncategorized. Bookmark the permalink. Your April Fool’s joke should have been the infinitely small amount of advertising you do to get new buyers. That’s the joke. Traditionally, our philosophy has been to keep our costs as low as possible and offer a service that is so good that our customers feel compelled to spread the word. This strategy has helped up become the fastest growing sports card website over the past 5+ years. Last summer we started doing our first significant advertising campaign, and we have continued to increase our advertising gradually. You will noticed that every Beckett publication for the rest of the year will have a full page advertisement. We are also starting to do more online advertising, but we are trying to carefully measure the results so that we can maximize our investment. We would prefer to not increase fees in order to pay for advertising. Soooooo, I guess everyone should start sending in their 2012 Bowman Ice cards for the storefront. They’re sure to go like hot, I mean, coldcakes down there!! Awesome! Three penguins and an otter. What would I have been worth? Darn! You fooled me in the first paragraph. It had me thinking of applying for a franchise in my town! I just shipped a 12 pound package of cards to COMC, and the airfreight price UPS quoted me.. they must have been looking at this new address. I can imagine that future “Hot Lists” will just be the staff begging us to mail them anything that is actually warm. Happy April Fools Day to the entire COMC Staff. Love it LOL! I loved the storefront idea but penguins oh my.